Today is a solemn day, but one we should never forget. I don’t think I need to tell anyone over the age of 25 why September 11th, 2001 is a day we’ll never forget. Even for those born after, it affects them. Nearly two decades later, it continues to affect us all. That’s why we shouldn’t forget. We need to remember because we need to learn from it. There’s a lot I can say about the issues surrounding September 11th, 2001. I could spend the next year, writing an article every day about the lives lost and the families shattered by that terrible incident. It still wouldn’t be enough. It still wouldn’t heal the scars. With that in mind, I won’t lament over what and who we lost on that day. 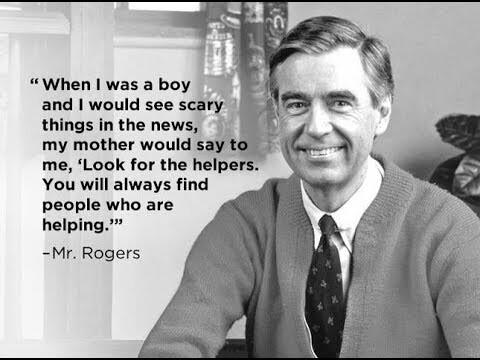 Instead, I’ll take the advice of the late Fred Rogers, a man whose capacity for love and compassion is legendary. In the spirit of those wise, caring words, I think the best thing we can do to honor the victims and learn from the trauma we all experienced that fateful day is to acknowledge the heroes. You don’t have to look far to find stories of heroism on day like September 11th. On a day like this, though, those stories should carry even greater weight. In the end, the losses are always going to hurt. However, it’s important to remember that even in the face of atrocity, good people find a way to be good. Amazing people find a way to be heroes. That, more than anything, is worth remembering.